Tax Credit Puts Squeeze On Minneapolis Duplex Sales | Your best resource for buying, selling, owning and investing in duplexes and duplex homes. The federal $8000 first time home buyer tax credit has been a lot like brushing your teeth. We all know it’s good for us and the economy. And we all know if we don’t rush to take advantage of it, it, like our teeth, may well be gone. But like brushing, buyers haven’t taken as much advantage of the tax credit as they should until they absolutely had to. Realtors have been warning them for months of the coming rush, just as dentists warn of decay. And now, the deadline is near. This fact is clearly reflected in this week’s Weekly Activity Report from the Minneapolis Area Association of Realtors. The association reports that pending home sales for the week ending September 26 were up 41 percent from the same week last year. To make matters worse for procrastinators, there are 20 percent fewer homes on the market to choose from than there were one year ago. Things are even tougher over in the small multi-family market, where there were 40 percent less new listings for the week. Of those duplexes that came on the market, 84 percent were listed below $200,000. Meanwhile, traditional sellers contributed 29 percent of the new inventory. This is up slightly from the 21.7 percent share of traditional sellers in the market in 2008. Pended duplex sales were up as well, with 40 percent more receiving purchase agreements in the week than they had in the same strecth one year ago. While the average off market price was down 9.7 percent from last year’s figure, the properties that left the market did so after just 64.6 days. This is 12.4 fewer days than for the week in 2008. Both years saw banks involved in the negotiations for about 84-85 percent of the transactions. 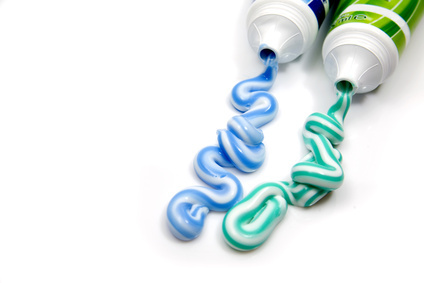 As we near the end of the tax credit, it looks like we’re all going to be squeezing the tube of toothpaste from every angle.